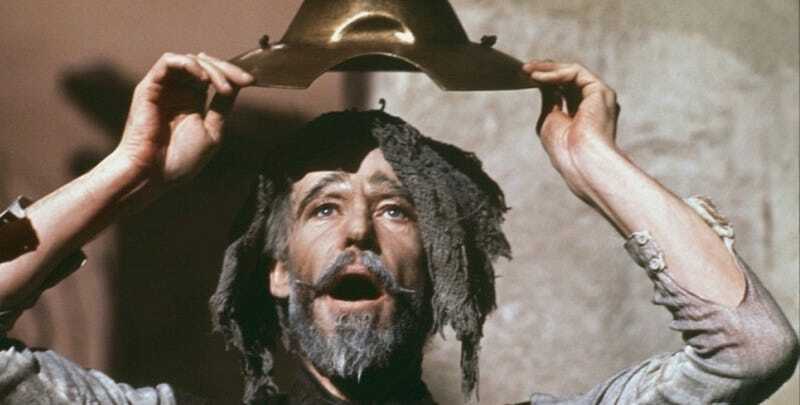 Peter O’Toole in the 1972 musical Man of La Mancha. Screenwriter Billy Ray (The Hunger Games, Captain Phillips) will tackle Miguel de Cervantes’ classic novel Don Quixote for Disney, which has pegged it as an adventure tale worthy of a lavish, effects-driven movie on the scale of the Pirates of the Caribbean franchise. Driver is set to play Toby, a jaded young advertising executive who returns to the Spanish village where, as a student, he made a film based on Cervantes’ masterpiece. The consequences of that film have been catastrophic, and sweep Toby up in a fantastic extravaganza complete with damsels in distress, knights and giants. Sources say the plan is to adapt the work in a tone the recalls the madcap and fantastical nature of Disney’s Pirates of the Caribbean movies, which took a popular Disney theme park ride and married supernatural fantasy elements, creating a billion-dollar franchise in the process. Presumably, it won’t take 20 years for Disney to bring its potential next billion-dollar franchise to the big screen—but Gilliam’s film may beat Ray’s all the same.